At Interstates, we meet the electrical and automation needs of hundreds of clients in diverse markets around the world. The concept of Interstates was born on the front porch of John A. Franken’s home in the early 1950’s. What was once a small business has become a crew of over 700 skilled employees. With this transformation comes the understanding that each team member plays an integral role in the success of our business. We are a team of many, yet we are one Interstates. It is this core belief which supports our mission that together we can make a difference by understanding needs and delivering results. Within our team of over 700, there are a few guys named Dave that created a fun video about the culture and mission of Interstates. Check it out! 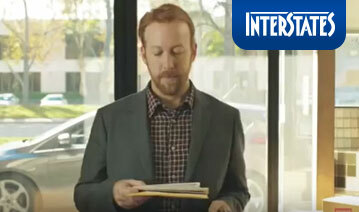 At Interstates, we make a difference by understanding needs and delivering results. How do you make a difference?